Discover the delights of the Tuscan countryside 10 km inland from the Etruscan coast and conveniently located for visiting the famous cities of art. 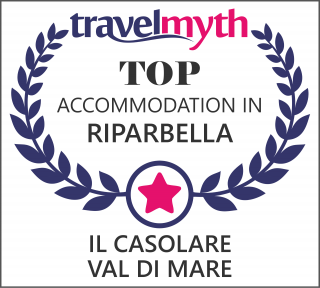 Casolare Val di Mare looks forward to accommodating you in its comfortable two-room and three-room apartments. Our guests can relax by the poolside with a wonderful view of the Tuscan hills of Val di Cecina, just a few kilometres from the villages of Casale Marittimo, Bolgheri, Montescudaio and the residential centre. Conveniently situated close to the historic cities of Volterra, San Gimignano, Pisa, Siena, Florence and Lucca, you can travel the 'wine roads', a vibrant area of wine-production, and taste the world famous Tuscan wines... or spend a few hours relaxing on the beaches of the Etruscan coast! An ideal holiday for old and young alike!! Pool for adults and children's pool open from may until the end of September!